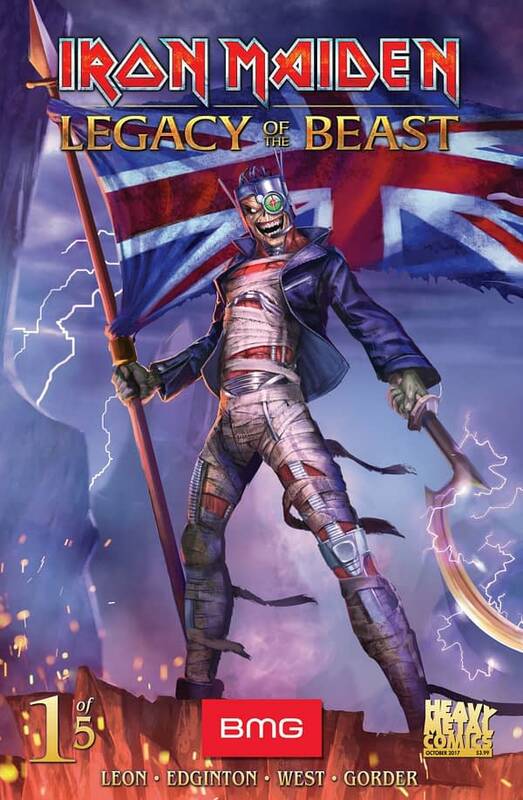 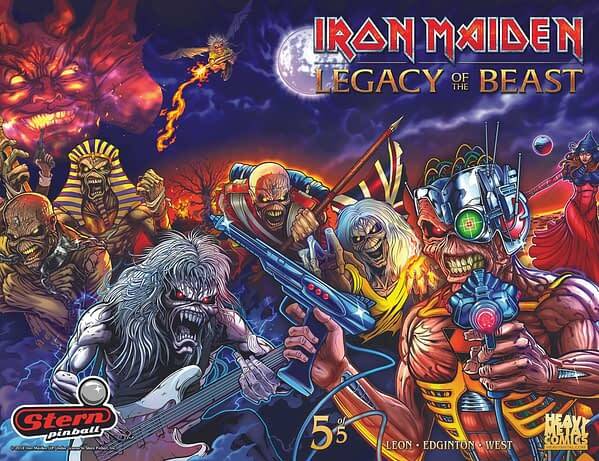 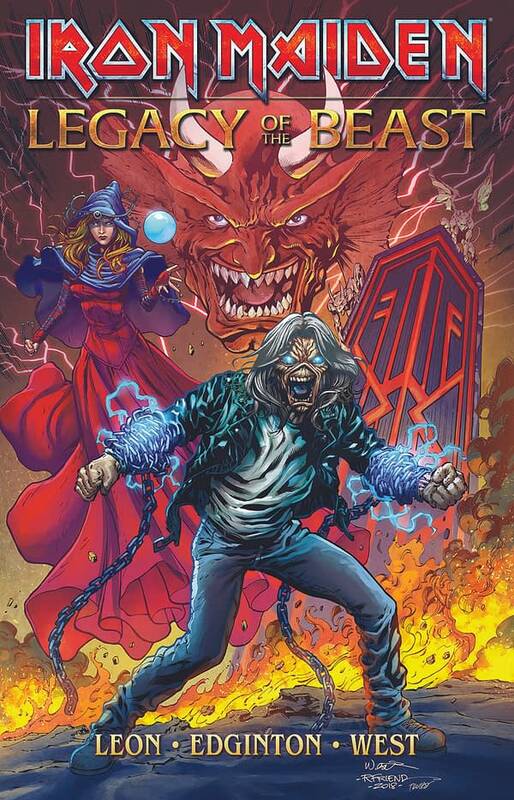 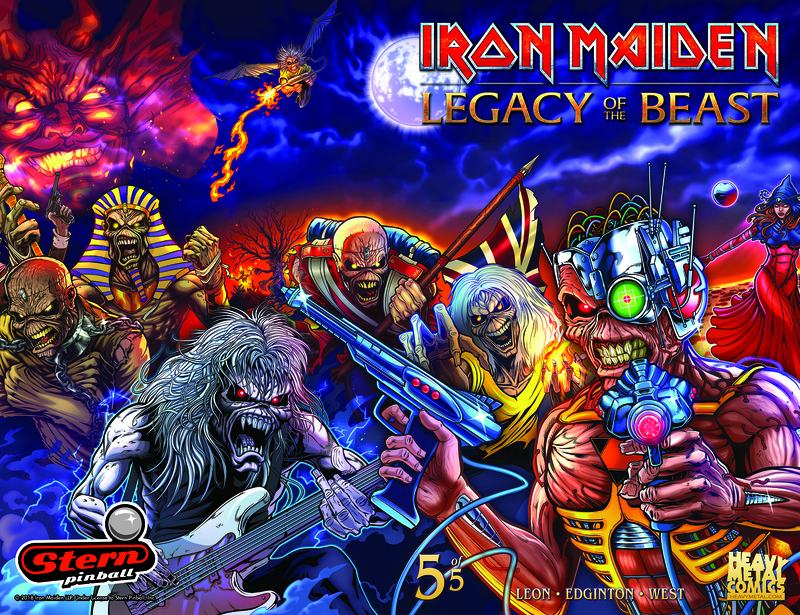 The Heavy Metal booth #1529 at San Diego Comic-Con will be showing off the cover to the Iron Maiden: Legacy of the Beast Trade Paperback ahead of its release in stores in October. 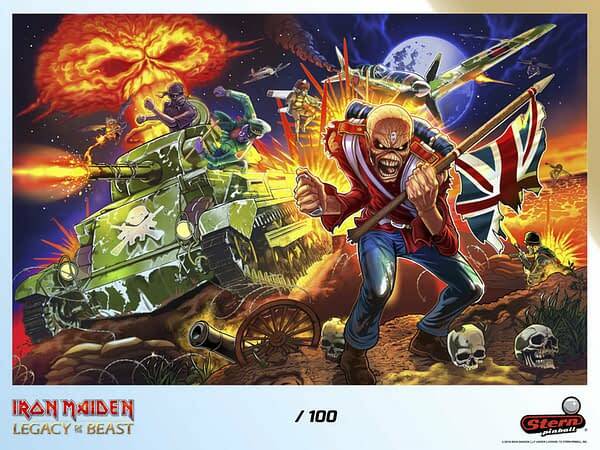 Inspired by Iron Maiden’s Legacy of the Beast mobile RPG celebrating its two-year anniversary this month, we have the news that sequel to the comic book series based will be coming in 2019. 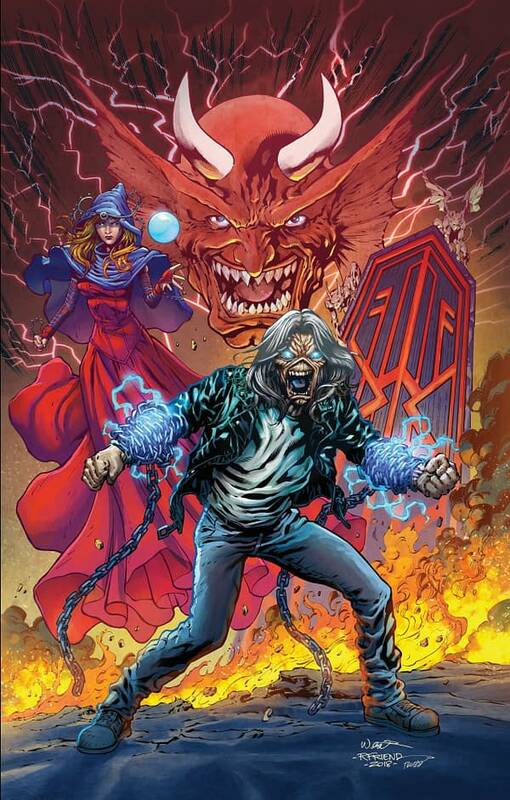 Penciller Kevin J West will also be attending all above signings. 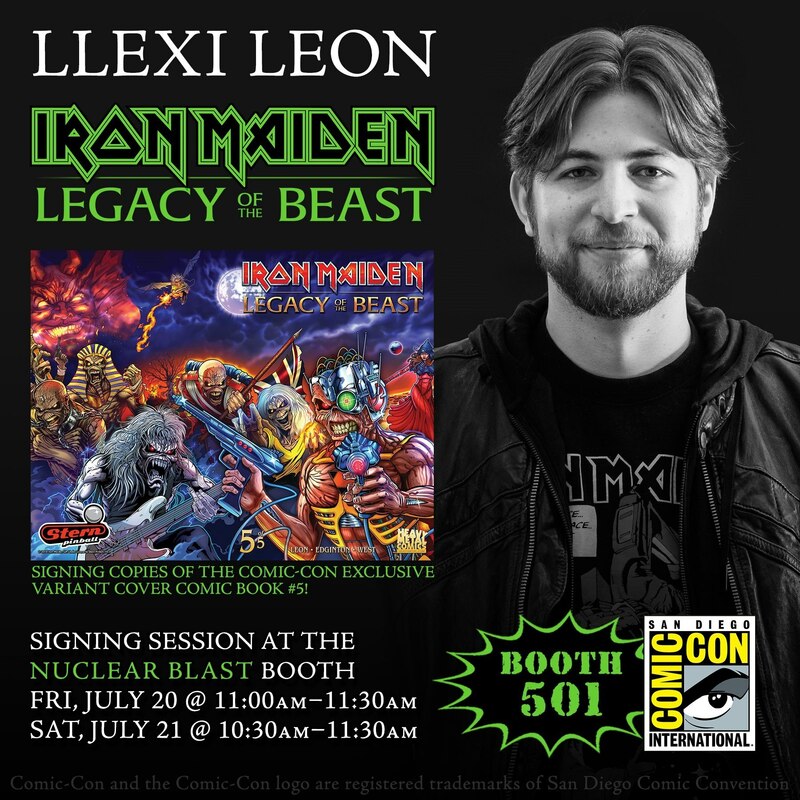 Leon will also be at these Nuclear Blast signings. 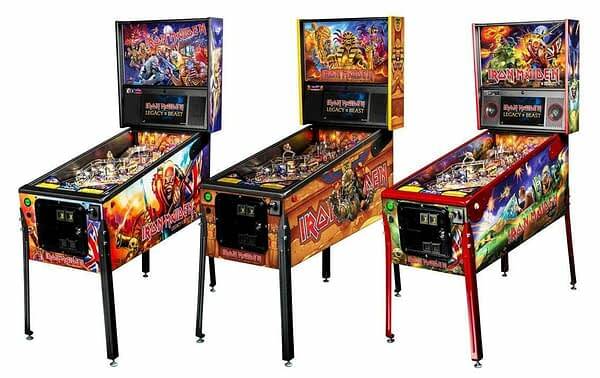 They also bringing all three IM:LOTB pinball machines to the show in conjunction with Stern Pinball. 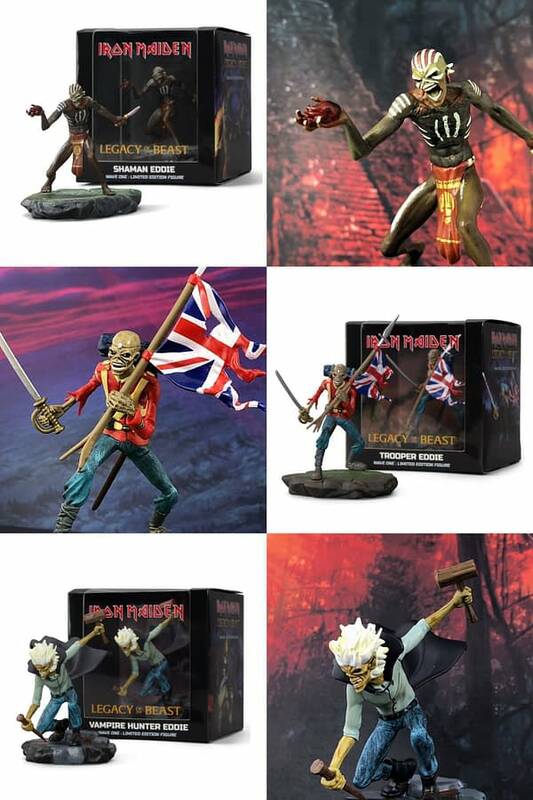 While Incendium have these two Iron Maiden statues for sale at the show also based on Legacy of the Beast. 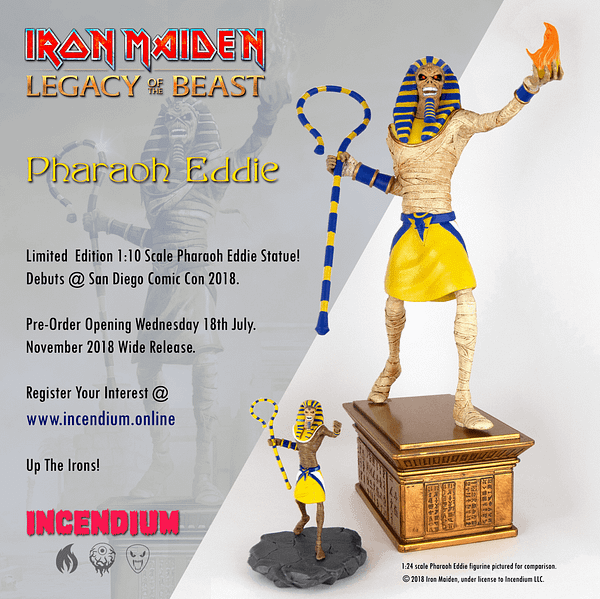 First look preview at the show, pre-orders go live on preview night here. 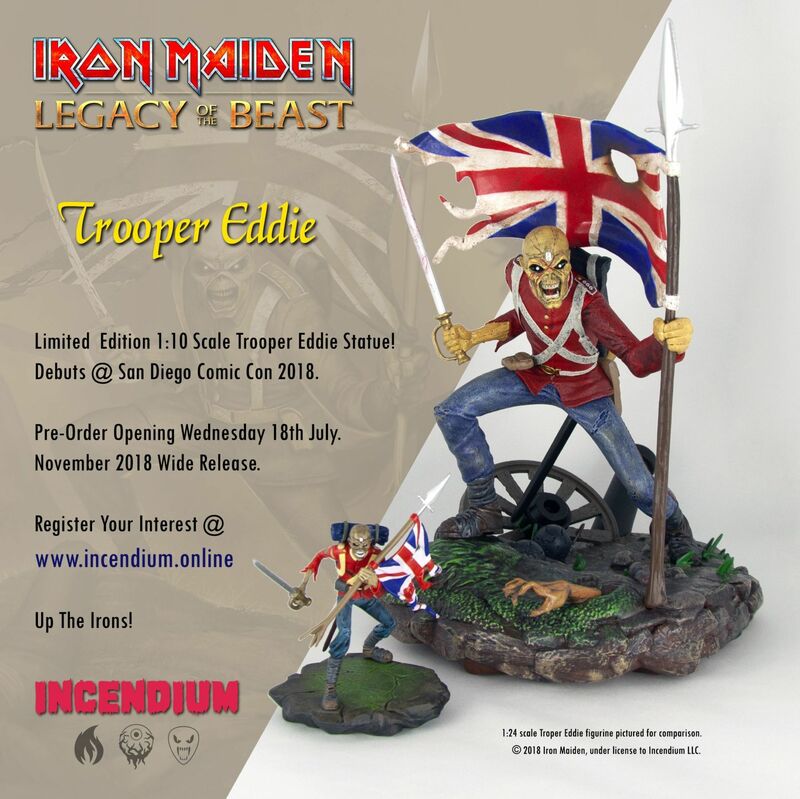 The complete range of Incendium’s Iron Maiden:LOTB figures will be available from HM/NB booth throughout the convention — including blind boxes and single figures.